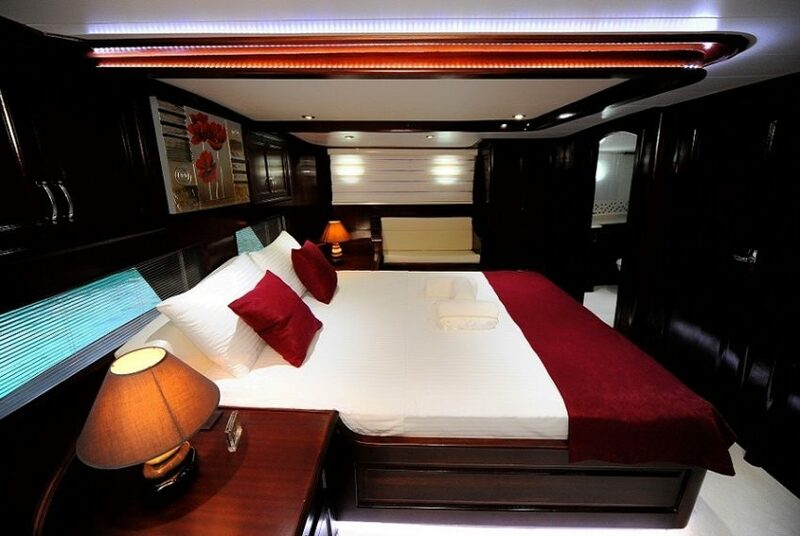 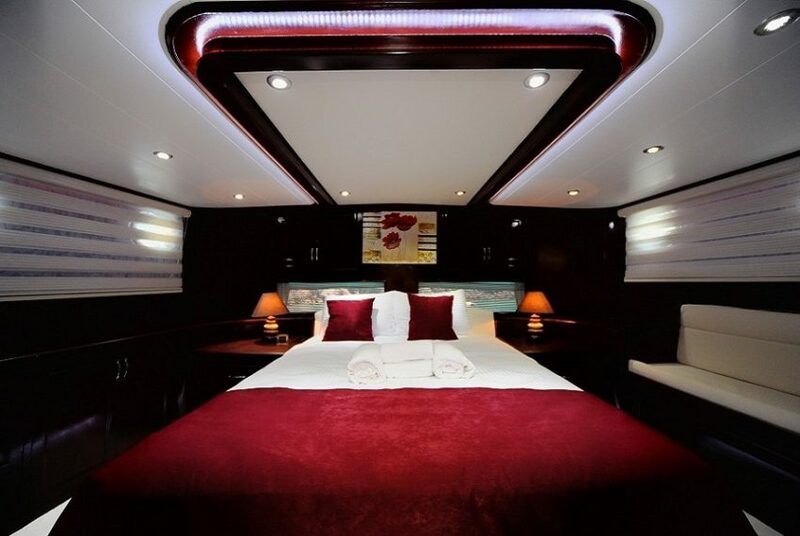 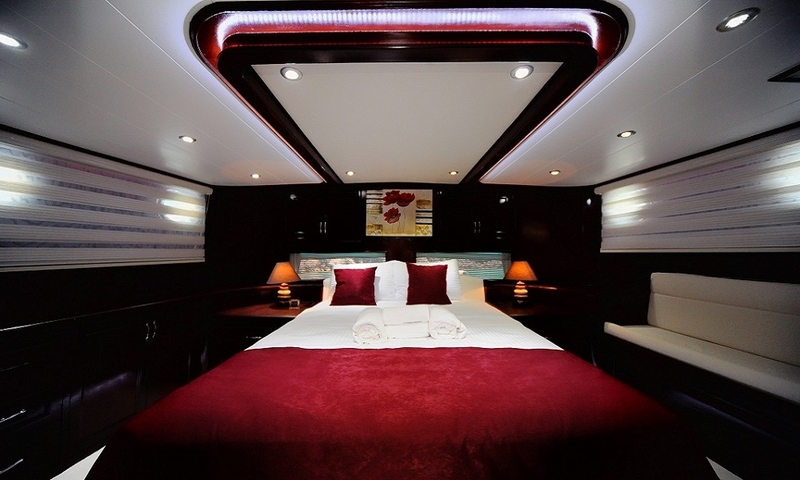 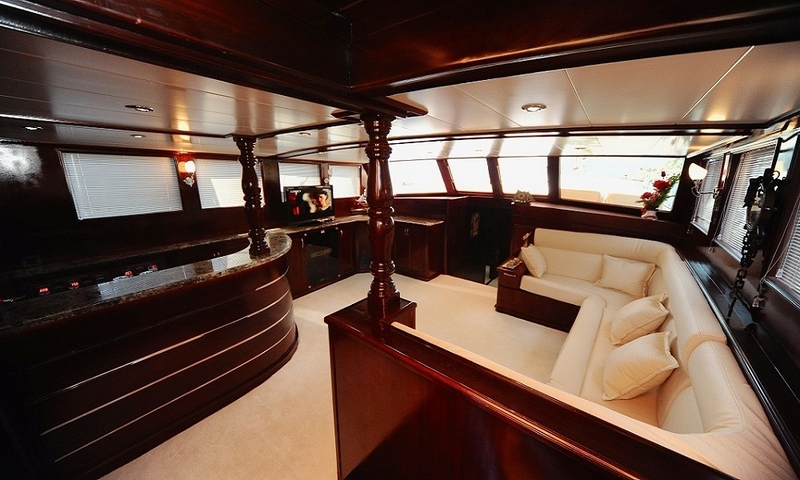 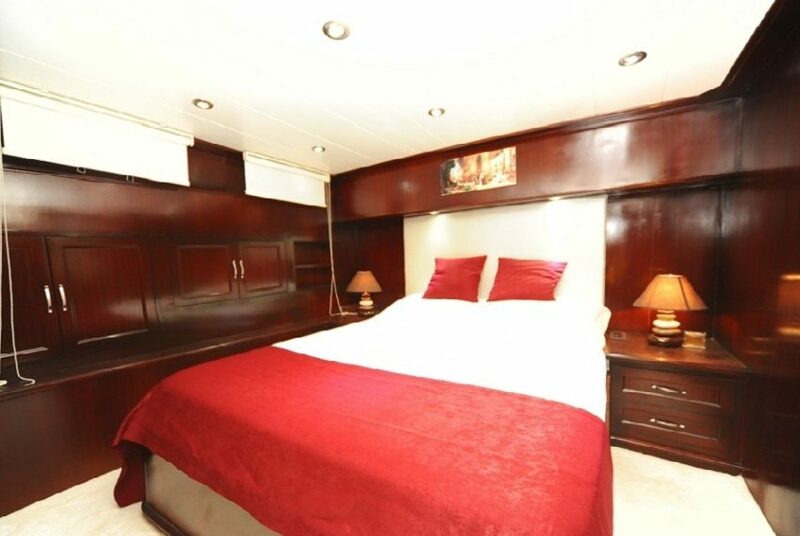 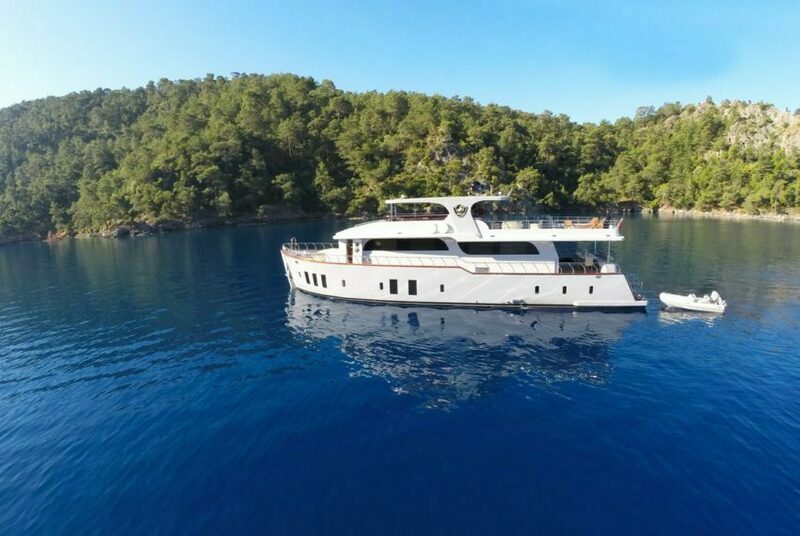 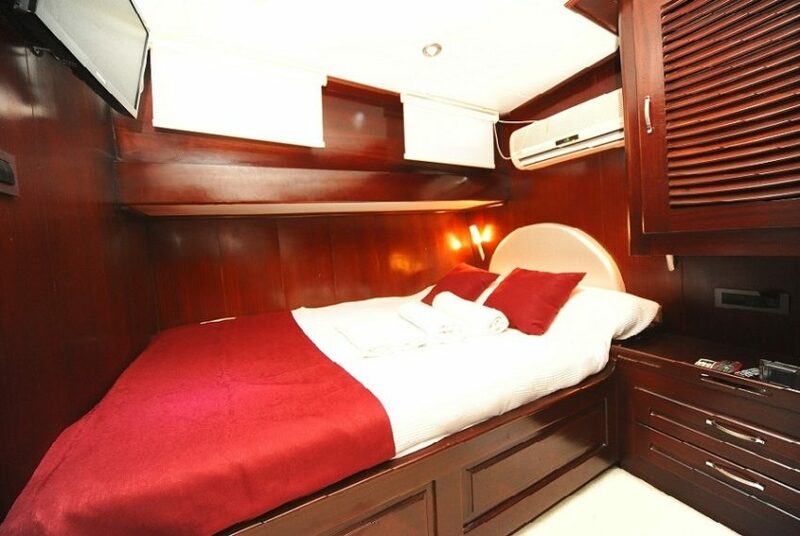 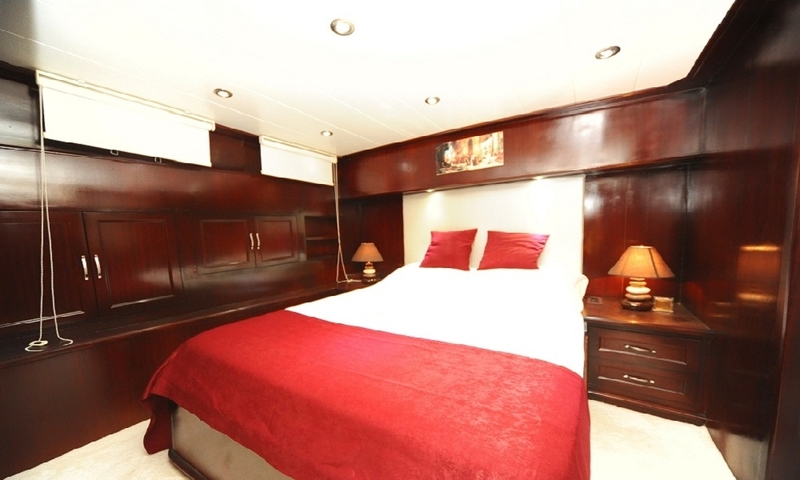 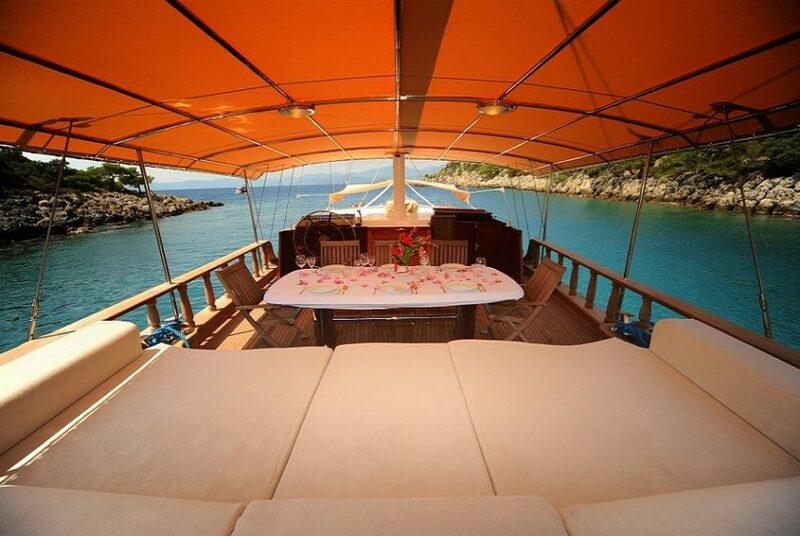 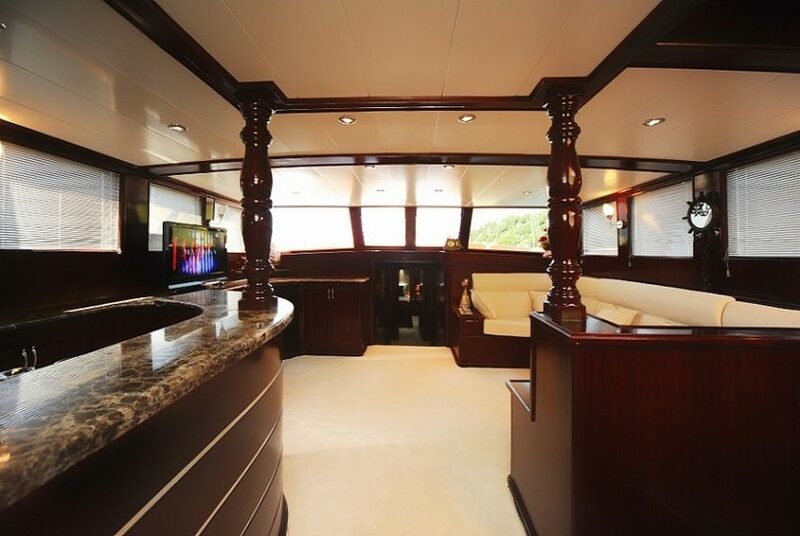 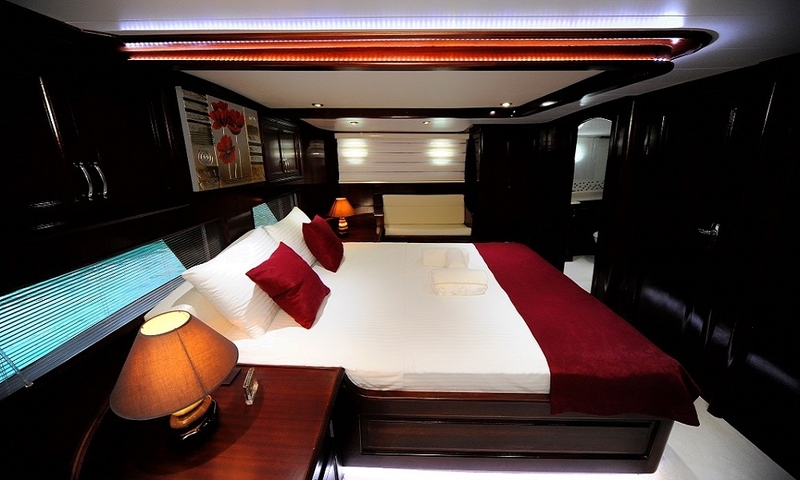 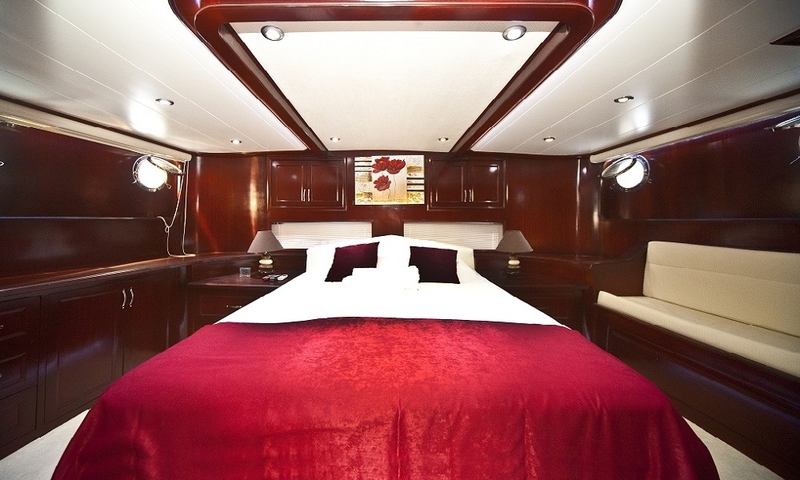 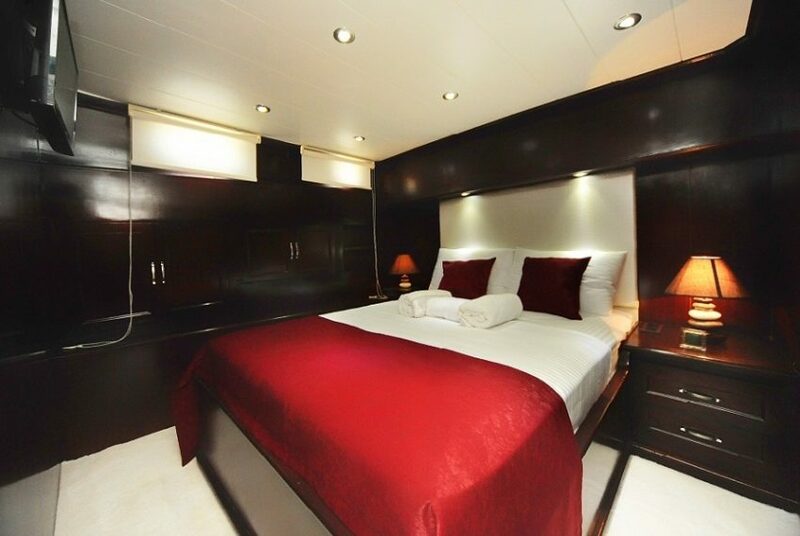 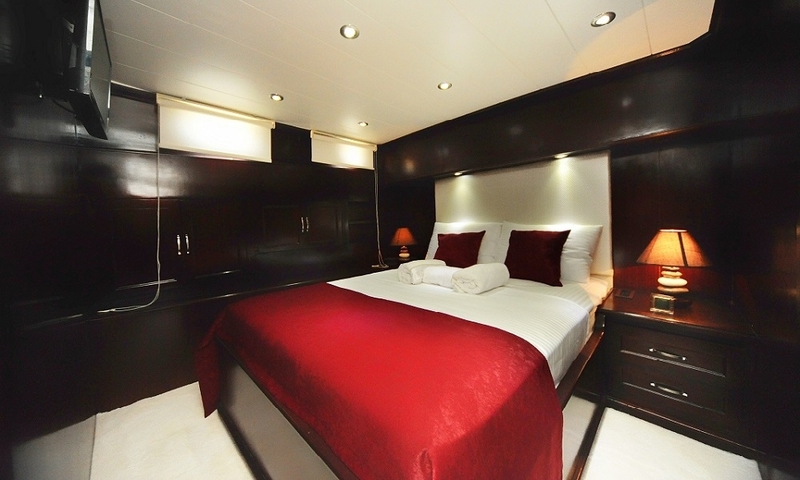 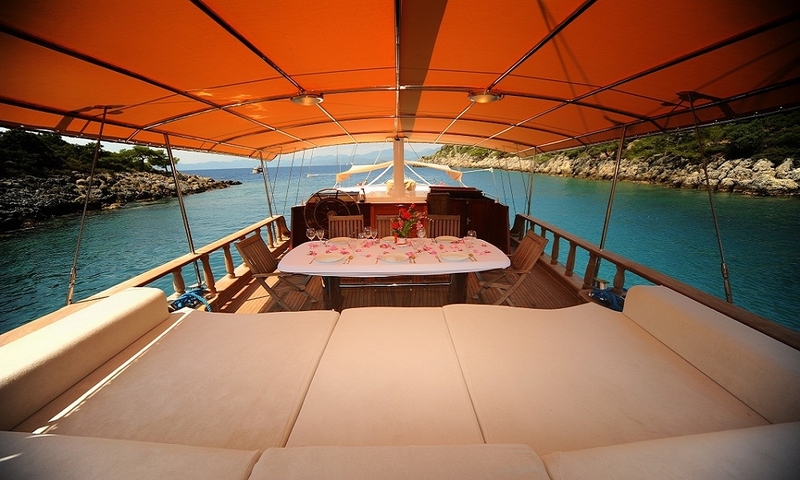 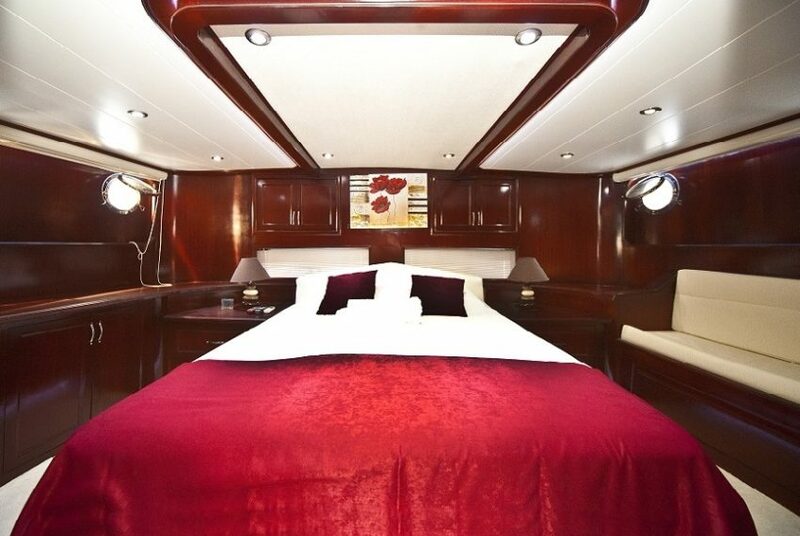 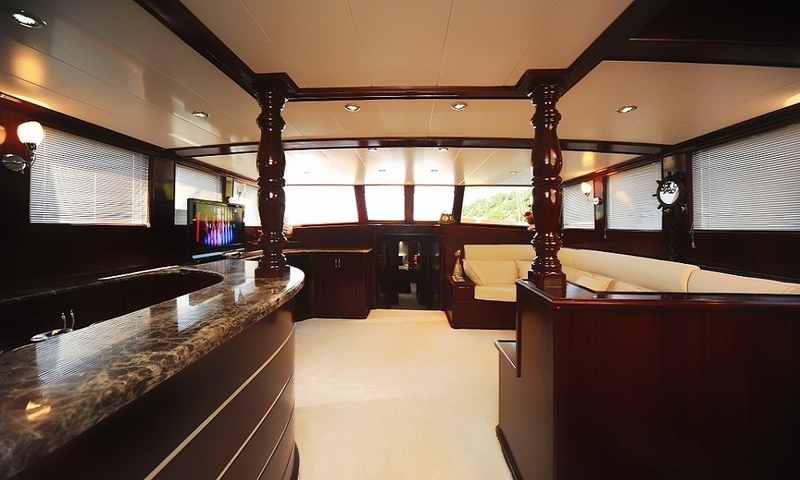 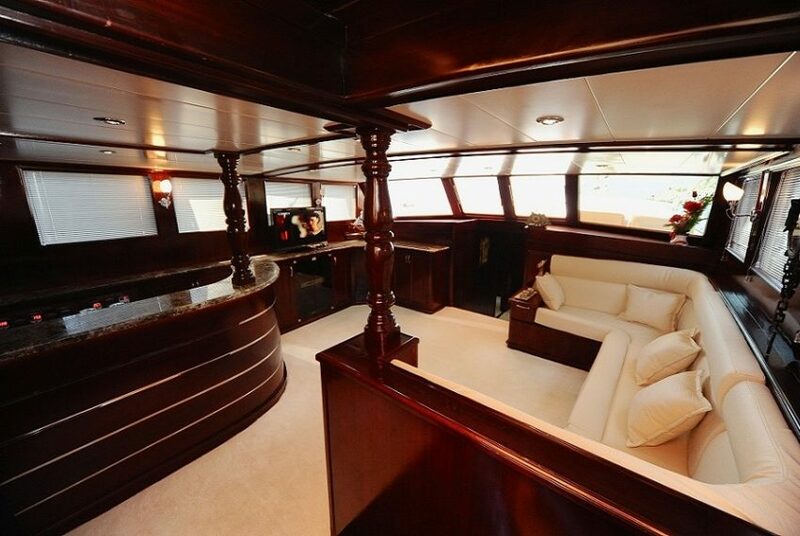 Guley Yacht Hasay is 22 Meters Long Has 1 Master 3 Double Cabins Totaly 4 Cabins.All cabins Has Air Condition. 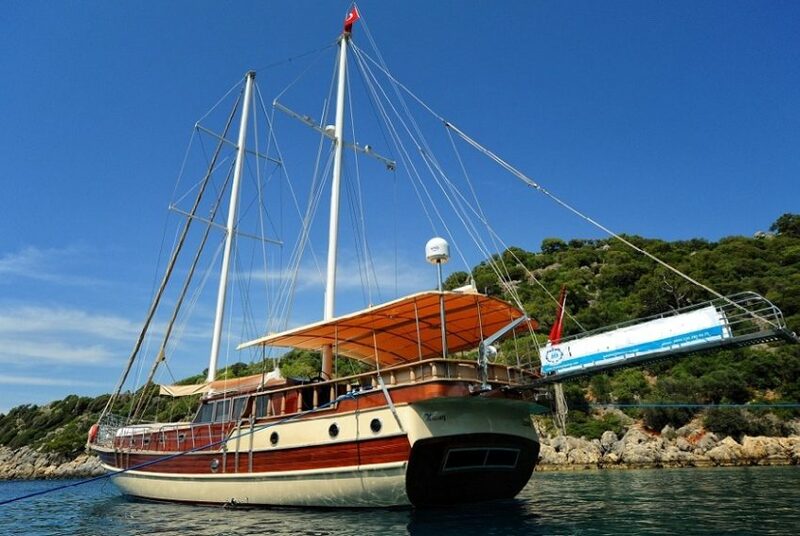 Accomodate 8 Passanger , Can have a yacht charter in Marmaris Fethiye Gocek Bodrum and Greece Islands. 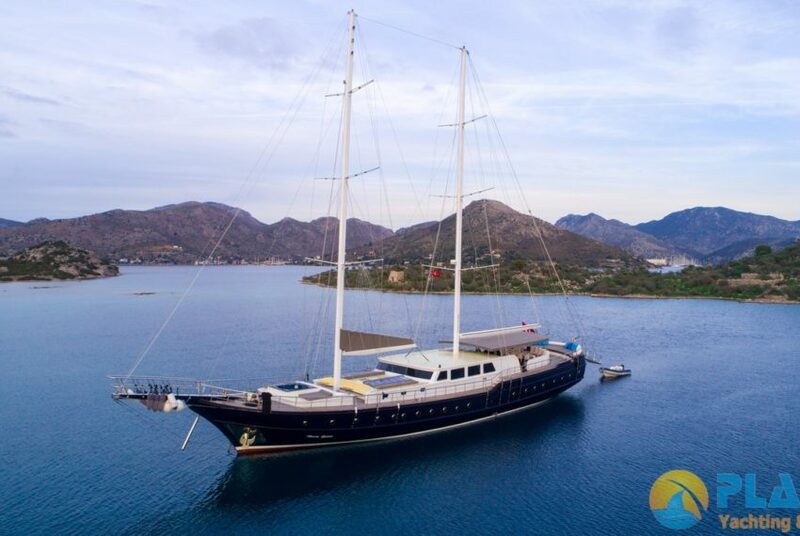 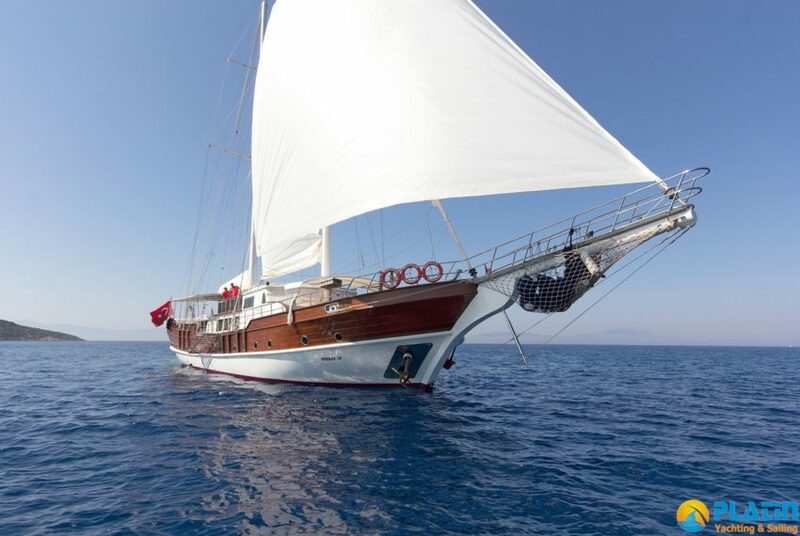 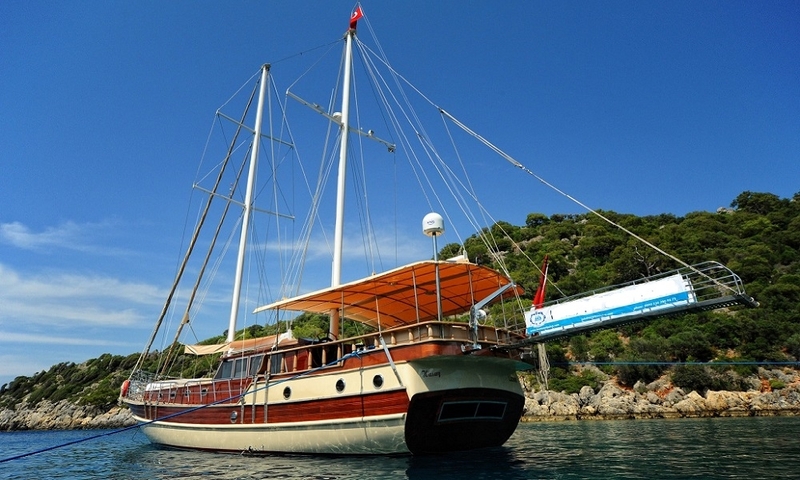 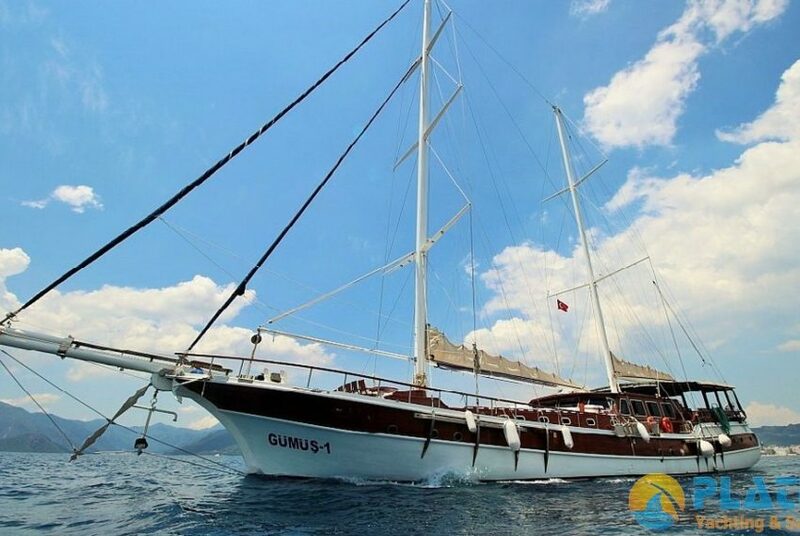 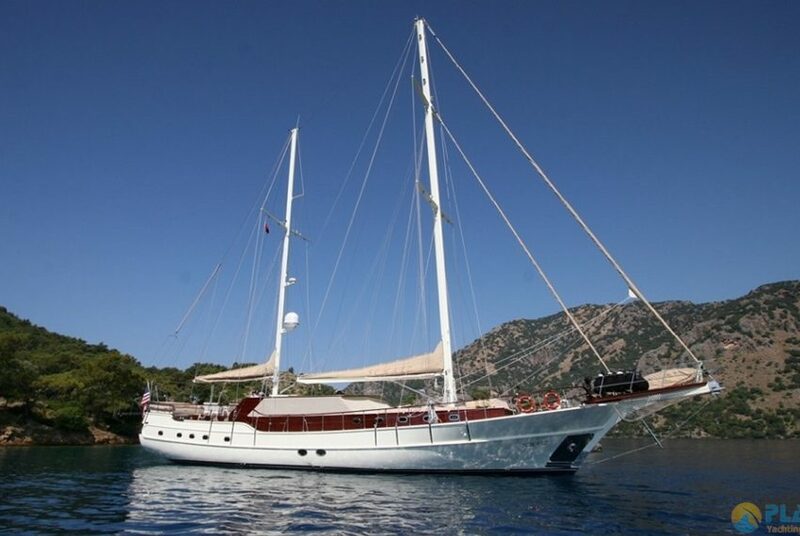 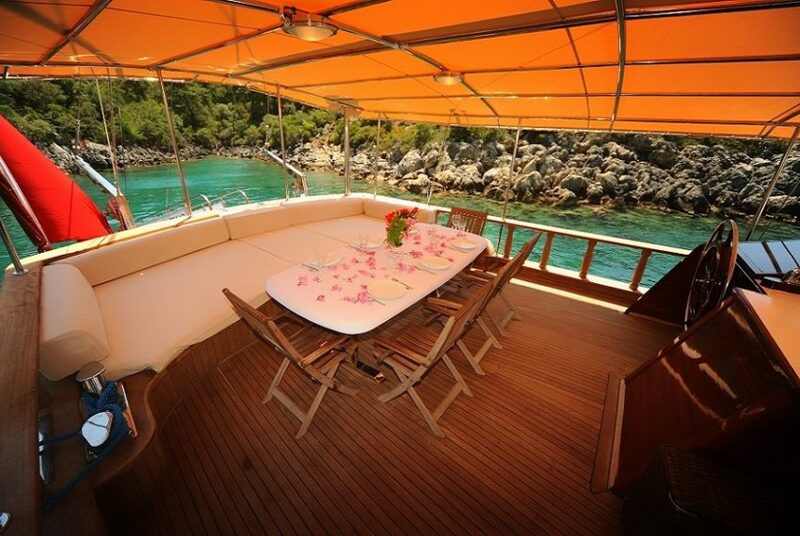 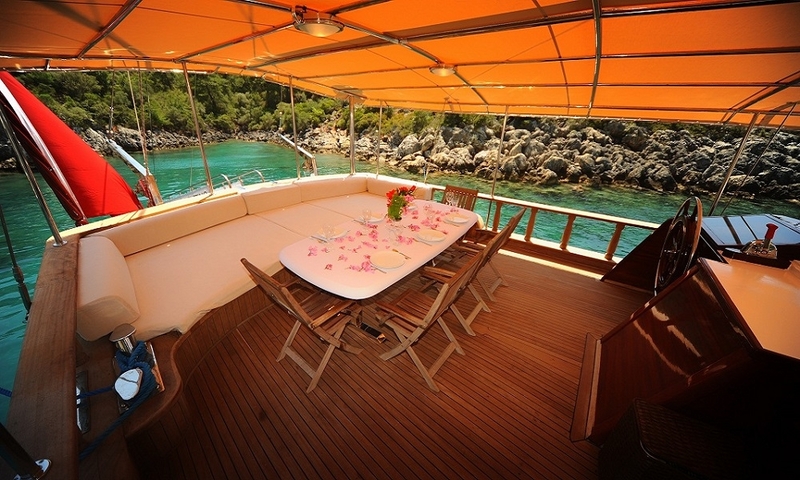 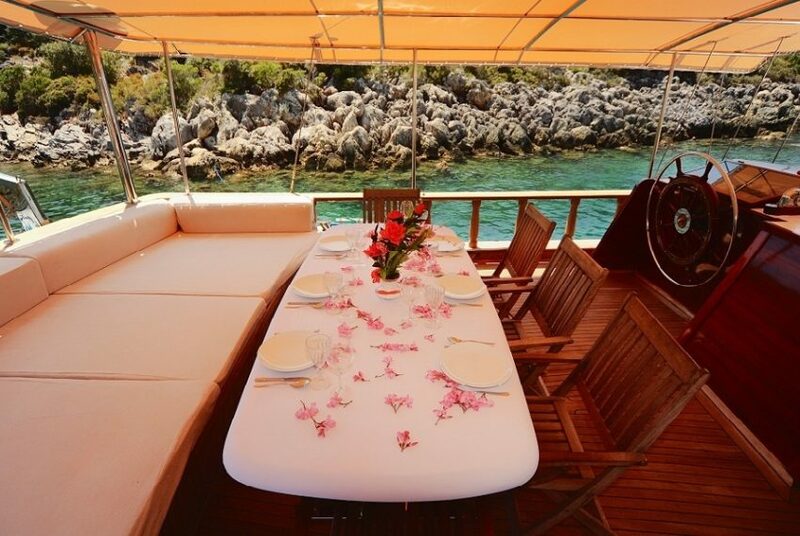 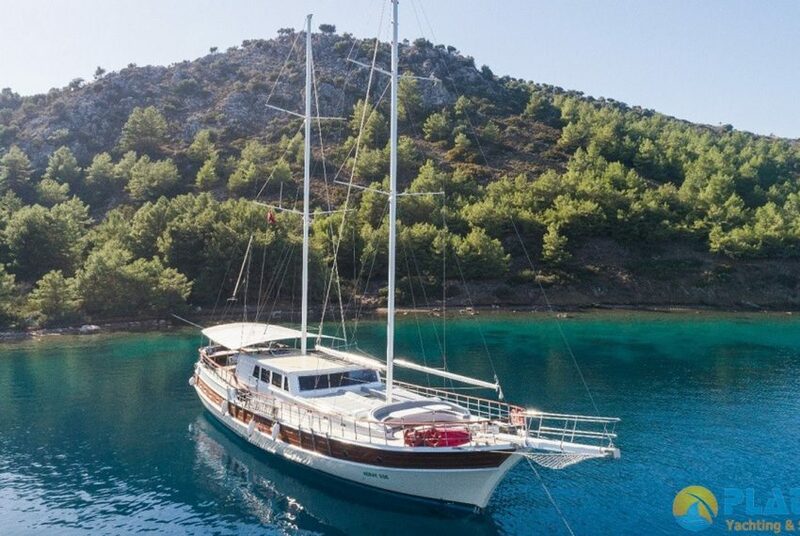 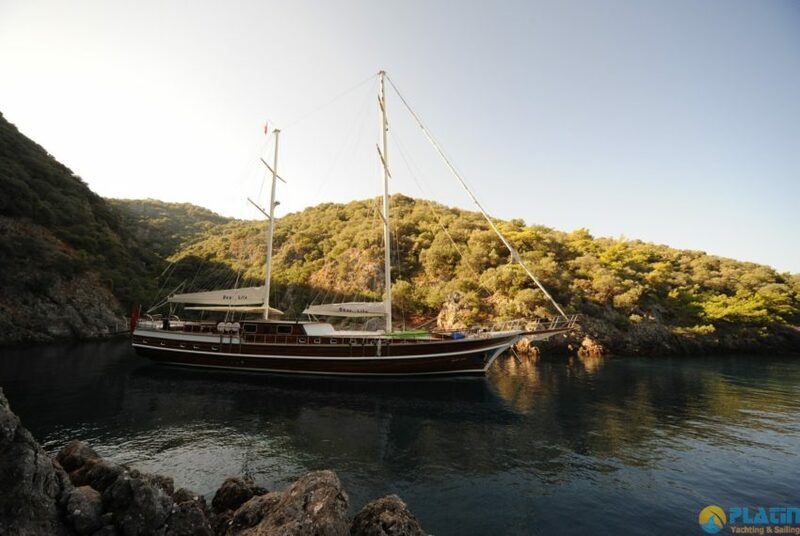 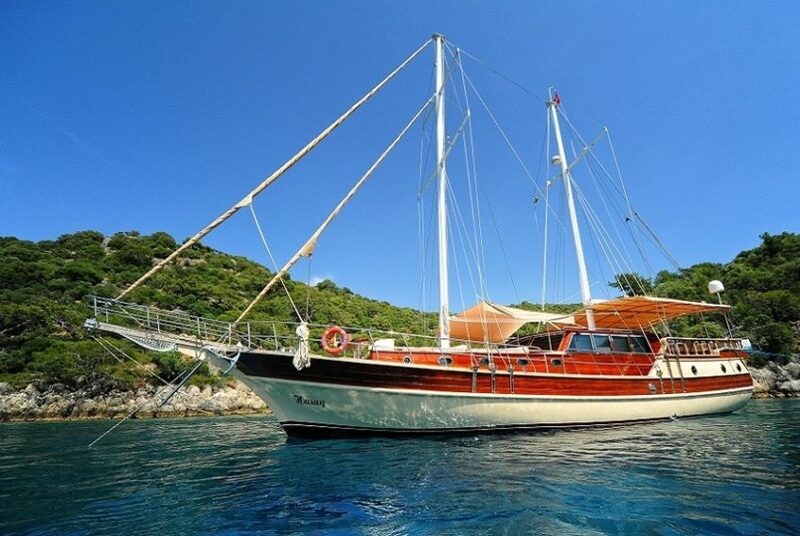 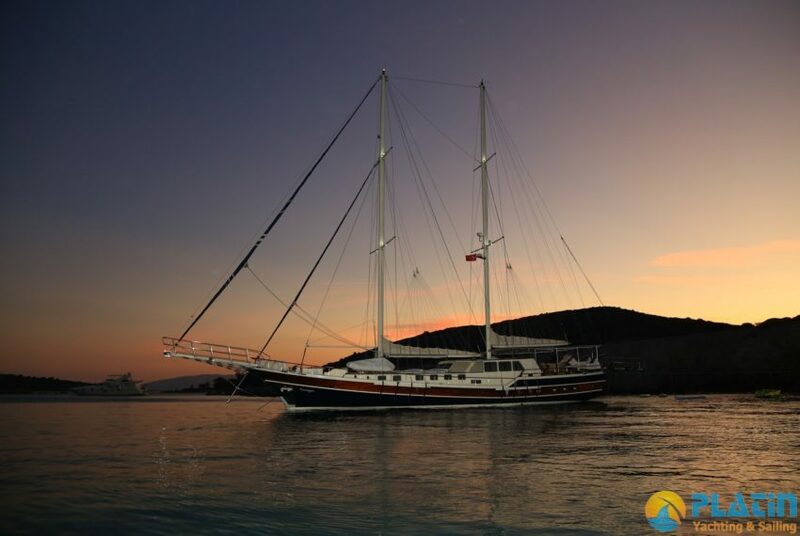 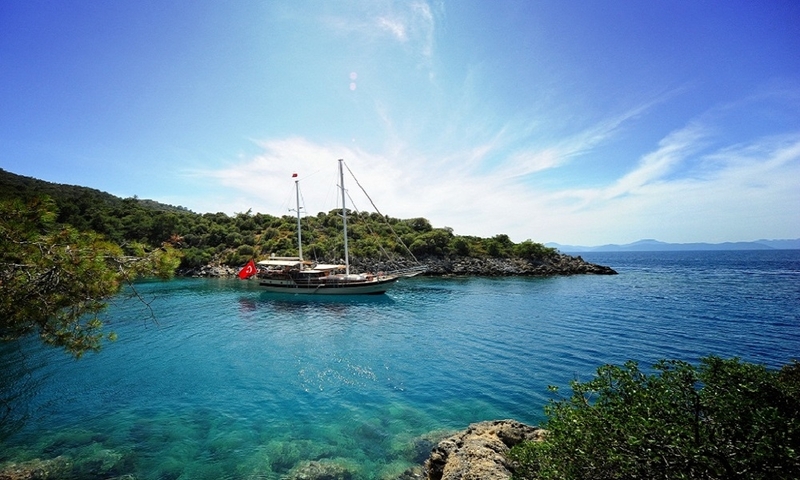 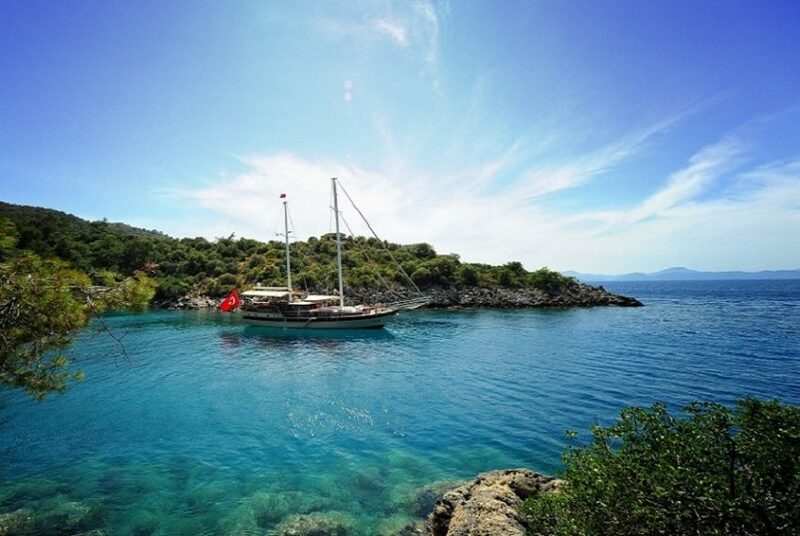 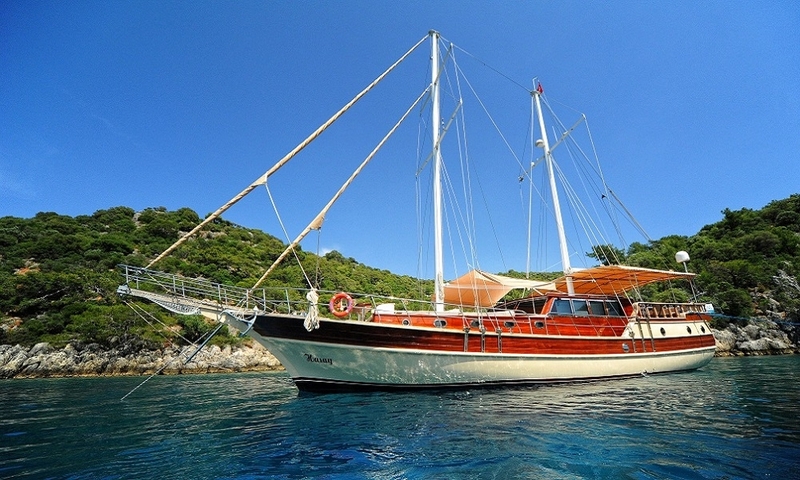 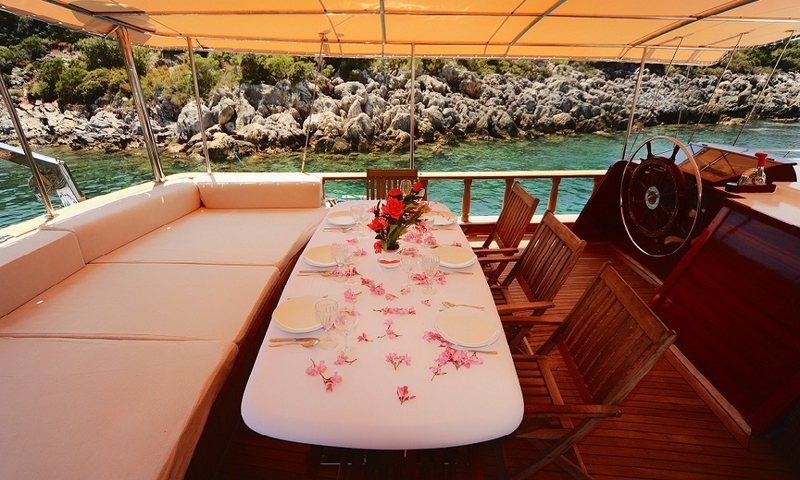 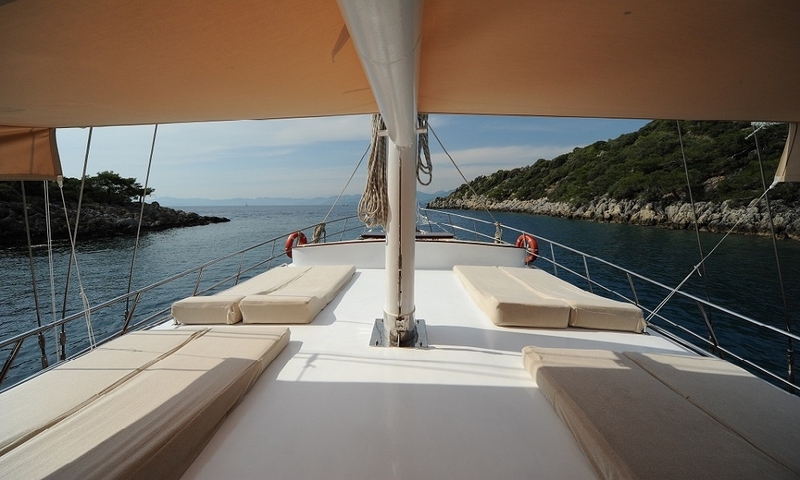 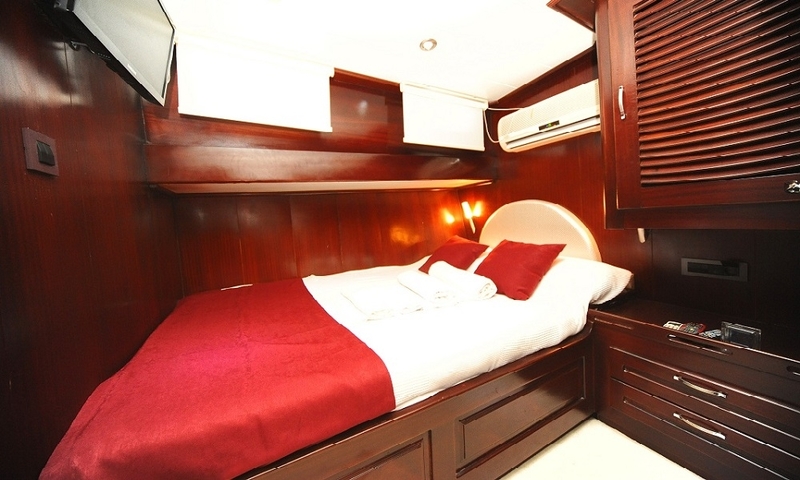 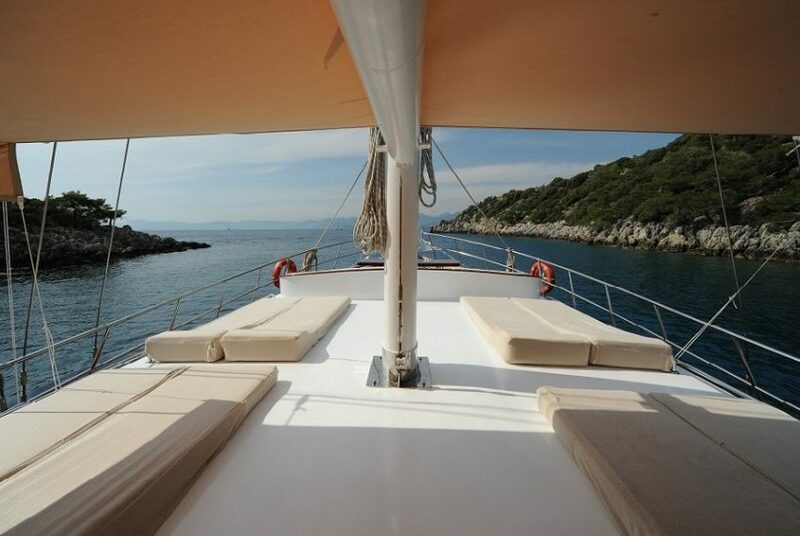 Gulet Yacht Hasay has 3 Crew.All Cabins Has TV and Dvd system and music Systems. 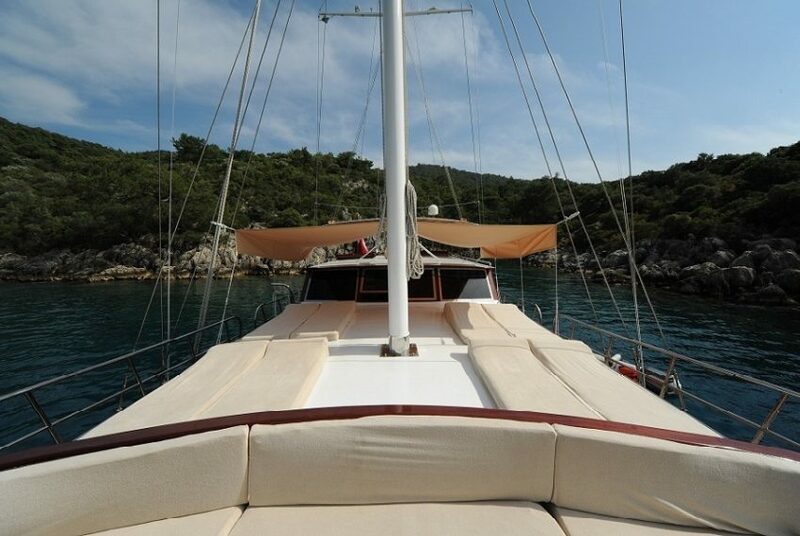 Main Engine Power 265 Hp / 10 knot Fuel Tank 1.500 lt. 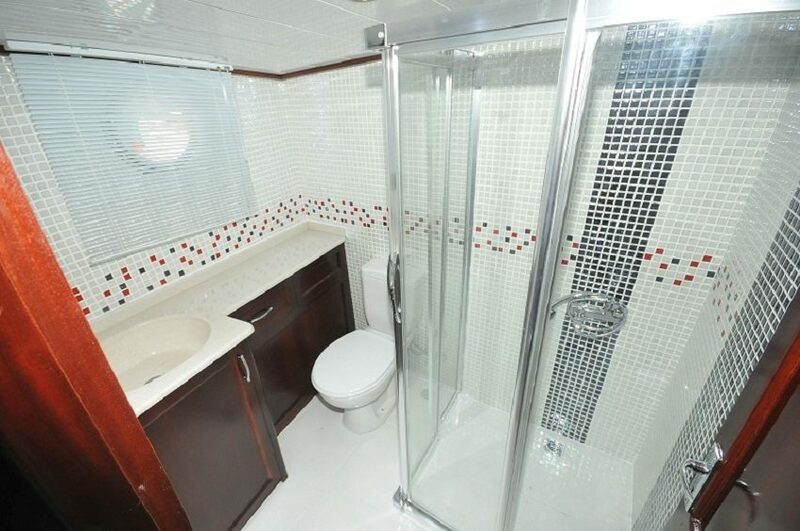 Generator 17 kVa Fresh Water Tank 2.500 lt.
Electiricity 24 + 220 V Sewage Tank 2.500 lt.